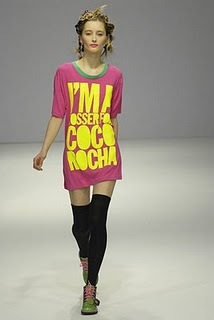 House of Holland is a very ironic fashion label created by english designer Henry Holland. 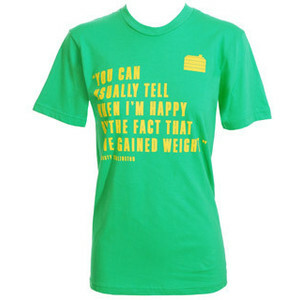 He achieved a global giant succes thanks to his catchy wordplay T-shirts that both celebrate and poke fun at the fashion crowd, immediately becoming best sellers (I’ve got one too, being the classical fashion VICTIM). His muse is definitely her friend top model Agyness Deyn, whose lovely face we can find in almost all of Holland’s campaigns. 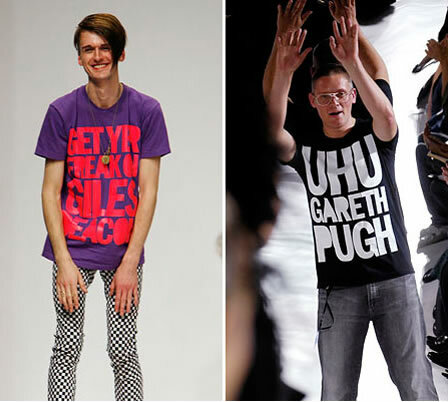 House of Holland’s success started when designer Giles Deacon decided to wear one of these shirts after his fashion show in London: on his shirt it was written “UHU Gareth Pugh” (another designer). Gareth Pugh fell for his provocation and answered by wearing another shirt saying “Get your freak on Giles Deacon”. So here you are…how a trend starts! These tongue-in-cheek tees hark back to the eighties with their bold-lettered graphics but the rhymes have a fresh, insider tone. The “Fashion Groupie Collection” became a mania and every fashion groupie wanted to have one with a slogan by Henry Holland (called “the genius of the rhyme”) about their favourite model or designer! 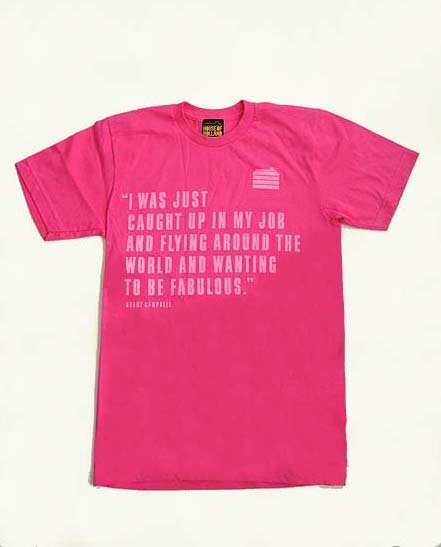 House of Holland also gave birth to another series of tees, this time focused on notorious quotes by Top Models like Naomi Campbell, Claudia Schiffer, Tyra Banks and Christy Turlington. Celebration or mocking? ← Fake it until you make it! I definitely love this brand!! Your blog is very nice, Blanchine! Can’t wait for another post!